Les Gets benefits from a prime position as ski resorts go. The local area is small, quiet and relaxed, allowing you to enjoy the ambience of this spectacular mountain location. 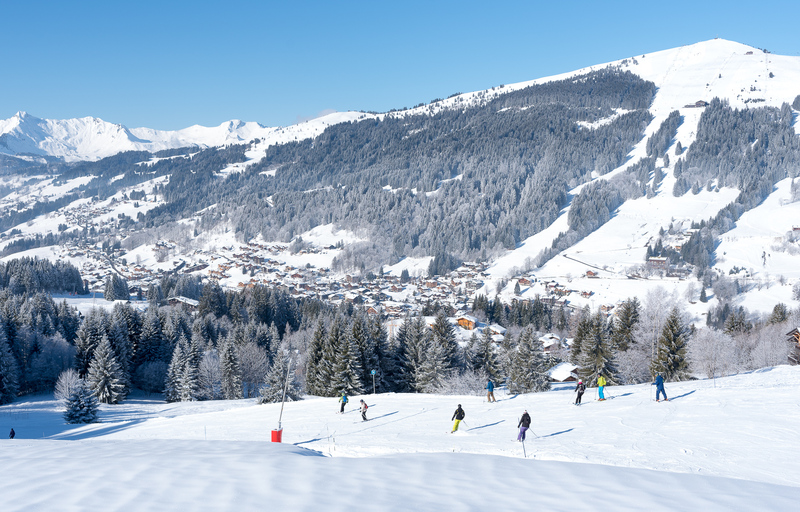 Indeed, Les Gets is one of our most highly recommended resorts for families, with gentle local slopes, a huge range of off-slope activities and a charming chocolate-box resort feel. However, it also offers easy access to one of the world’s biggest ski areas, Les Portes du Soleil, which spans across a staggering 650km. Over the next few weeks we will be bringing you a true Insider’s Guide to the area, sharing its best kept secrets, our favourite spots and how to make the most of your time here. This week, the Mont Chery area of Les Gets is in the spotlight. In one week long holiday, Les Portes du Soleil provides more than enough entertainment to keep even the most expert skiers happy, with a huge amount of variety available. That being said, when you have little ones in ski school, you might not always want to be flying off to slopes across on the other side of the piste map. So, we’re going to share a little insight from our friends over at Chalets1066, a family-run chalet company who have been operating in the area for many years. Experts in all things Les Gets, they have let us in to an local secret, the serene skiing paradise that is the Mont Chery area. As we’ve mentioned, Les Gets is situated within Les Portes du Soleil, an area that offers everything an avid skier or snowboarder could want, from epic powder and tree runs to challenging blacks and gentle cruises blues and reds. Skiers can visit Les Gets safe in the knowledge there is enough skiing for all abilities and you will rarely find yourself bored. However, we all know that it’s not everyday you want to be covering as many miles as possible whilst keeping an eye on lift closing times to ensure you get home in time! So for the days you do want to simply enjoy your skiing or perhaps remain closer to your children if they are in ski school, the Mont Chery area is definitely one to try. Yes, it’s not the largest ski area in Les Gets, smaller than the Chavannes side, but sometimes, when it comes to enjoying your skiing, size really does not matter (and if it does – you know you’ve got the rest of the Portes du Soleil waiting for you!). At this point you may be wondering “well how small can it be?”. The answer is quite; there are just 4 blacks, 4 reds and 1 blue in the Mont Chery area. You may think that this means there’s not much point in going there – but this is exactly why you should. Many people write off Mont Chery as too small to be of interest, but this misconception is what makes it so enjoyable – the slopes are often practically deserted as people head off to the more extensive but much busier pistes across the valley. Even in peak weeks, this area is delightfully quiet. You could say it’s Les Get’s best kept secret – so be wary who you repeat this information to, we don’t want everyone turning up here! Because of how quiet this area is, it’s the ideal place for intermediate skiers that want to make the jump from blue to red runs or red to black runs, but might not want to do so on crowded runs. When taking on a challenging run, no-one wants to be continually looking over their shoulder to make sure no other skiers are going to come flying down into their path. Plus, with four different red and black runs at varying levels of difficulty, intermediate skiers of every level will be able to learn and progress here. Even experts will benefit from empty black runs perfect for practicing steep skiing or carving turns. The below images were taken in February, demonstrating just how quiet the area is, even in peak weeks. Two extremely wide red runs (Chamois and Epervier) are perfect for intermediates wanting to practice and develop on slightly steeper runs, whilst less confident skiers can also come along for the ride, taking the well groomed hidden cat track alongside these runs, which would be classed as an easy blue/green. For something more challenging once your red run legs are fully in action, head to the Marmottes red run at the back of the area. Again here, there is a groomed cat track option for those who may not want to attempt the very steep section at the outset of this run. Plus, if you want to convince your pals you’ve just conquered a black run, there are also a number of black markers here (where the red and the cat-track meet the black) which you can easily take a snap with to prove your black run prowess! The Mont Chery area also boasts some of the best mountain restaurants and cafes in Les Gets. The only cafe on the far side of Mont Chery is La Chanterelle, but don’t let its isolated position fool you, this is one of the best restaurants in Les Gets. If you’re after some midday rest and relaxation, a quiet lunch after an active morning, La Chanterelle is exactly what you are looking for. Forget the busy queues and crowds you may associate with mountain restaurants, this place remains calm and collected even at the height of the season. Perhaps part of the reason for this, its location on the piste map is slightly askew… Ski down towards the lift, keeping right at the end you will end up on what is labelled a black run but is actually more an easy red and this is where the hidden gem that is La Chanterelle can be found. Peace and quiet at lunchtime on the mountains – who would have thought it! On the sunny, south facing front side of Mont Chery, you will find Le Grande Ourse . This mountain restaurant lies alongside a lovely blue piste and offers some incredible views over the surrounding mountains and a fantastic atmosphere to boot. Run by a friendly, hospitable Cornish family, it has a large open log fireplace and charming interior, but really where you want to be is soaking up the sun in a deckchair outside, admiring the view! The food here is pretty great too, with delicious home made dishes made using only the freshest ingredients and influenced by a variety of global flavours. Le Grande Ourse is also offers a truly unique dining experience, where guests will travel in a piste basher up to the restaurant for a gourmet five course dinner. 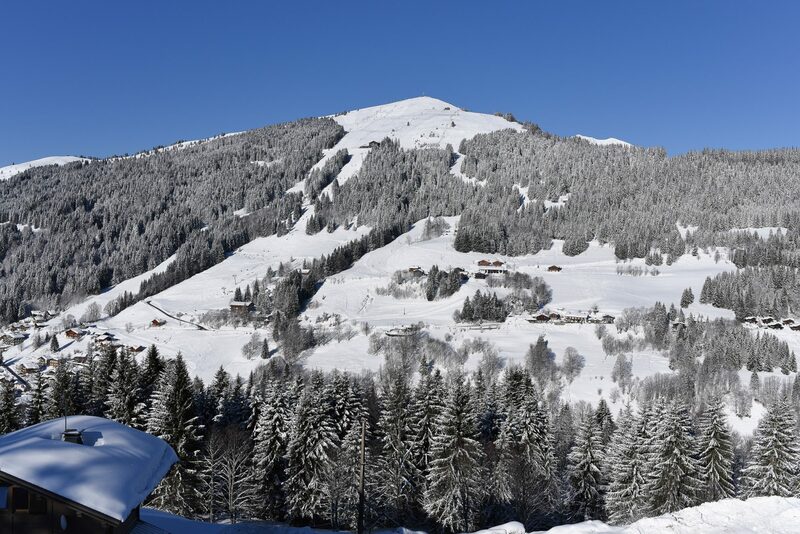 In order to fully make the most of the incredible opportunities such as this on offer in Les Gets, it’s a good idea to travel with a company that is as flexible as your needs are sure to be. Family-run Chalets1066 have been operating in the area for countless years and are hugely experienced in providing guests their perfect holiday. Offering tailor-made holidays with a range of personalised services, you can truly create your perfect holiday. From the one bedroom apartments in Chalet Rochebrune to full luxury in Chalet De l’Atray or hot tub heaven in Chalet Talini, Chalets1066 have a range of accommodation options to suit all needs. Plus, all guests have the option of personalised services; culinary options from morning bread and pastry delivery to gourmet personal chefs, transfers, childcare suggestions and even lift passes and ski hire sorted from the comfort of your own chalet! It’s truly the best way to do a ski holiday.